To earn the privilege of receiving your future business and referrals by helping you make good real estate decisions today. Odette, originally born to a Canadian military family, relocated to Pinellas County in 1984, graduated from the University of Florida with a major in Business Management in 1993, and shortly thereafter decided to pursue the real estate profession as her career. Driven by the desire to succeed, Odette was previously awarded memberships to Coldwell Banker's Chairman's Club, the International President's Circle, and the Sterling Society. As a seasoned sales associate, Odette strives for higher educational goals to better serve her clients, she has completed her GRI (Graduate of Realtor Institute) and earned her Real Estate Broker's License, a level of achievement that very few agents reach. The one of many awards that best describes Odette is the Service Excellence Award and is awarded based on customer satisfaction. She has been honored, time and time again, with this award. Odette specializes in residential sales and customer service satisfaction. 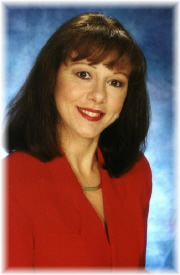 In 2003 Odette joined the RE/MAX organization and as always puts the real estate needs of her clients first! Re/Max is honored and proud to have Odette as a member of its #1 sales team and will recommend her without reservation. "As a Member of Re/Max, the #1 real estate company in the world, I feel privileged to be backed by the best". "With their support, guidance, tools, and team leadership, I can honestly say that the synergy created when I joined RE/MAX can mean only one thing: THE TOP TEAM WITH THE POWER TO MOVE YOU!